I just didn't communicate those ideas as well or with the same media Brian Lunduke did. In my opinion, he presented some valid points...points that have been discussed in ones-ies and two-sies, but never brought together in a complete package like the Lunduke clip. Whether we agree with him or not isn't the point here...we've fairly well done that. What we are here now for is to talk about actually moving toward getting it done. First though, let's look at some dynamics of our community...the entire community, not just the developers or code guys. There is no "leadership" in the Linux Community, and it is that way for a reason...that reason being obvious. One person's vision cannot or should not shape something as globally important as GNU/Linux and Free Software. There are however, people that lead individual projects within the community. Leadership on that level is paramount to accomplishing anything. Anyone not agreeing with that only need to revisit the Debian debacle. Leadership by consensus isn't leadership...it's a recipe for inertia. I first became aware of how problematic "group leadership" can be when Matt Garrett resigned from the Debian Team in 2006. Sometimes people just need to step aside and let competent leadership do what it does best. Don't let ego hinder a project. Lead. Competently, and lead by doing...by setting the example and not letting ego get in the way of progress or the goal. "Debian's ideological underpinnings are also occasionally an impediment rather than an asset. The project's commitment to democracy and intentional lack of strong centralized leadership sometimes cripples the decision-making process and contributes to an overall lack of direction. Development efforts can be impaired or derailed by endless non-technical disputes over specific ideological issues." No, this isn't pick on Debian Day. I only set it on the table because I know most everyone either remembers it or was possibly involved in the numerous donnybrooks that ensued. As far as I am concerned, Debian is the cornerstone of GNU/Linux. So on the project level, what defines a good leader? First, it's someone with the ideas and the skills to either make those ideas real or assemble the team (s)he needs to make those ideas real. I started out calling it "Super Ubuntu". I changed it from Super Ubuntu because I was informed about the ubuntu trademark guidelines, and I did not wanted to comply with them. Canonical (the official ubuntu sponsor) did not force me, and they were ok if I used the name IF I complied with the guidelines. I did this because I now think I have more freedom to do modifications to the OS (not using the "Ubuntu" name). Super Ubuntu, now referred to as Super OS, started with a simple need: having a Live CD that worked out-of-the-box. "A long time ago" I used Live CDs a lot (now I use mainly Live USBs) , and one thing that frustrated me was having to install flash and MP3 codecs on the Live CD everytime I needed those features! I also know MP3 and flash (and all that restricted/"non-free" stuff) are probably the first things many people install on their Ubuntu systems, so I decided to make their life easier and at the same time promote ubuntu and open-source software. But that only gives him a jumping-off point for his real innovation. One of the other problems I found on current linux distros is the hard way to simply run files and install software not in the official repositories (forcing the user to use the command line to simply execute a program as root! ), so I came up with App Runner and more recently SRUN (still in beta-testing). Other thing I also do not like is having to wait 6 months for new versions of software, I know there are backports, but they are not really well implemented... a good solution would be portable apps (or self-contained programs), something I am also working on (SRUN + portable apps). Remember in our earlier article we talked about taking package management, or at least the front end to package management to a unified tool? Look closely as htl's beta projects above...SRUN and portable apps. This is the beginning of his vision for unified packaging. He plans to work with other distros that want his help after he has the Ubuntu/Super OS project finished. We talked about vision being part of a good leader. He isn't standing still when that is done. He also wants to improve the upgrade process between releases. "I think I can make this much easier and less time consuming. Service Packs for Super OS. This would not force the user to re-install Super OS every time a new minor version is out. Service pack 1 is already being worked out, and I expect to release it in less then one month from now. My RoadMap:"
Since The HeliOS Project is constantly fighting the lack of Internet connections when we install for our kids, htl's superdebs and SRUN packaging components are ideal. We have implemented the use of Super OS on all of our installs now and plan to continue doing so. Htl has agreed to work as a HeliOS Project development partner and boy howdy was it needed...I couldn't code my way into a rocking chair. There are efforts like htl's out there. Mint has done a great job in making the new user's experience easier, as has TheeMann's Ubuntu Ultimate. What we like about htl's Super OS is the direction he wants to take it. He wants to think ahead...not dress up something already pretty...but alter it in a way that leads to other possibilities, from other people. And that's another thing that makes a good leader. He's not afraid to be improved upon. It's all about the end result, not the notation behind it giving him credit for the achievement. Nor is he afraid of criticism...honest, non-defensive criticism. You may have questions about security, about the process...things that he may or may not have thought of. This is a good place to bring them up. My guess is that he'll be watching. Htl will need help with mirrors. He expects rapid growth once Super OS hits Distrowatch and based on the performance so far on our kid's computers, I am assuming uptake will be brisk. If you have any mirroring space or know of an organization that will mirror Super OS, please contact us via the comments and we will pursue it quickly. If I were to hazard a prediction, it would be that he'd need the space pretty soon. AHA...did it, finally. First comment! 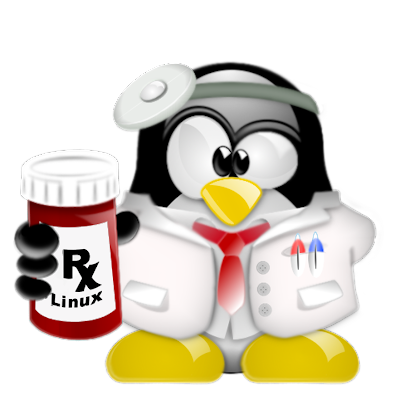 I tried this distro out last week and I need to say it is pretty cool. I don't know how you made it as fast as you did but it sure runs faster than regular Ubuntu. I am really looking forward to the superdebs. Thanks h for bringing this to us. I think I'm going to enjoy this distro. Also, I'm glad you dropped Mint. Did you hear of the recent political strife in it? Clem decided Israel's money isn't good enough - at least I think that's what happened. I just think he's an idiot to exclude contribution from any place, regardless of political or religious opinion, because even if you discard every free software principle, there is one that should never be discarded: the ability of anyone and everyone to contribute. There is a snippet expansion program for linux - Snippits. Noobix, Clem's comments were indeed unfortunate as were the consequences of those comments. They are more far-reaching than he will ever realize. Whether they had anything to do with us switching distros isn't for public discussion. The subject has now been breached and we are going to leave that discussion on those boards. We will move forward with the confidence that htl has for his project and sees in ours. It's good you mentioned it early...I think everything that needs to be said about it has been. We won't discuss it further here. 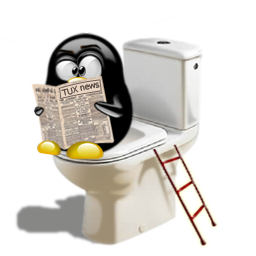 So ok helios, you bring us a Monday morning (thanks for the early post) blog with some actual substance and low and behold, it's just an article on another Ubuntu knock-off. I had hoped for something good for this Monday. We look forward to your Monday blog. Sorry for my initial cynicism as I began your blog. So many others do end as boring as they start out. We 9 in the office applaud "htl" for seeing the importance of your work and you seeing it in his. Thank you for publicizing these leaps to future development. We can only hope they don't die as ignored efforts as so many open source projects have. These seem to be poised to make a difference. Software this good just HAS to come from the UK now doesn't it? I started the download when I began reading your post earlier. I am now typing this from the fresh install and I have to report that it is sweet. I cannot put my finger on why it is but this doesn't "feel" like Ubuntu once you get into it. It's hard to explain but whatever it is I really, really like it. And this SRUN tool has got some severe potential. I am liking the concept AND the performance. I was thinking your report on it leaned more toward hyperbole than fact but in playing with it I can see where it is going to shake things up a bit. I am really looking forward to the superdebs. Those in itself will change the way we do outside installs and upgrades. Great report Ken and great find. thank you for bringing this guy and his project into the spotlight. He deserves to be there. Ken, in holding the belief that a disto is a distro is a distro, I was inclined to blow this off but since I have a spare partition with just junk on it I gave it some room. Man, how cool is this? I think you've done us all a favor by bring it to the communities attention. I don't know if anyone would hear of it had you not. To HTL. You and a few others are moving in a good direction. If you can find any of the others that are willing to collaborate with you, I hope you or they do so. The ego thing is important. I hope Ken is right in saying you will do what's best for the community. Be it others adding to your work or others coming up with improvements and using your work as a basis for others. I've come to trust his judgement. Just a quick comment: "Portable Apps" is already a known/used name. (See portableapps.com) Don't want HTL to run into any (more) controversy over naming/use conventions, so just a quick heads up. Keep up the good work, Ken! This guy's good. I'm a bit disappointed about the lack of comments obout it although most people seem to think it's a step in a good and different direction. I hope the lack of comments doesn't equate to the lack of people reading about it. I am going to completely move to this distro for two reasons. HTL is obviously an innovator and has talents that I think we've only begun to see but second, I for one am way sick and tired of the Ubuntu Fanboyism both in the forums and on the Internet in general. Some 17 year old kid "discovers" Ubuntu and starts raving about it. that is fine in itself but when he and thousands of others start replacing the OS of GNU/Linux with Ubuntu, then I think we have a problem. We had this out on the forums the other night and when I suggested that Ubuntu was still part of the Linux Community, you would have thought I suggested that they all paint themselves blue and form a stage act. The Ubuntu Fanboys need to understand that they are part of the whole and not the whole in itself. As Helios considers himself as a team member in the community, so should the fanboys consider themselves as team members of a greater effort. Ive never heard helios announce himself as the definitive authority on advocacy, although I think advocates might take a look at his energy and focus. Ubuntu has the spotlight and I am glad some Linux distro was able to do that. Now just don't chase people off by telling new users that if they don't use Ubuntu, they aren't really trying Linux. That was the statement that started the kerffufle on the forums the other evening. Sorry for taking up all your space helios. I just needed to get that off my chest. Good Point Dan...let's see what htl comes up with...the way he goes about it is decidedly different and much more robust but you are right about the name. We'll look into it. SRUN and PackageKit might go a long way to solving the perceived and real issues with installing applications and packages, creating universal installation binaries. The distro looks interesting as well. I love these "multimedia rich" Ubuntu forks. Sure they're serving a need, but they're all basically illegal in the US. The restricted stuff is restricted for a *reason* and that's why it's not installed. There's still binary-only drivers, firmware, and non-Free content in Ubuntu's main and universe and it needs to be moved to restricted or universe. And yes, we do file bugs about it. Sure SuperOS is great, but don't sell your freedom short. No don't sell your freedom short...but by all means cripple your computer in the name of...what? A law that no one pays attention to anyway? Hey, I love the 4 freedoms but I am also a pragmatist. I refuse to handcuff myself in order to abide by them. Non-free will just have to inhabit my machine until we have alternatives...I can sleep at night knowing I have the minimum non free stuff on my machine...I also sleep very well knowing I spit in the eye of the DMCA.